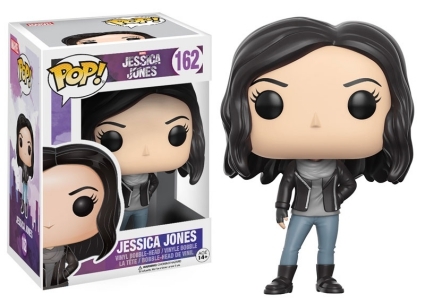 The Power Woman gets stylized with the Funko Pop Jessica Jones set. The initial release includes two figures from the Netflix series. Jessica Jones made her debut appearance in the first issue of Alias (2001) under MAX Comics—Marvel's version of R-rated graphic novels. Still fairly new to the Marvel Universe, Jones possesses superhuman strength and is capable of flying. Reluctant to don superhero spandex, she decides to open her own private investigation agency hoping to help others with abilities. In typical style, Jessica (Krysten Ritter) is standing with her gloved hand on her hips, wearing blue jeans with a black leather jacket over her gray shirt and a matching scarf. The only thing missing to make it an exact replica is a bottle of whiskey, although, it’s probably in her pocket. 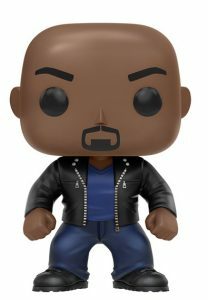 The set also introduces the first figure for the ultimate Power Man himself, Luke Cage (Mike Colter). Positioned in a ready-to-fight stance, the "Hero for Hire" wears a leather jacket that almost matches Jones’. Although each figure stands approximately 3 3/4” tall, Luke Cage is much wider than the thin Jessica. 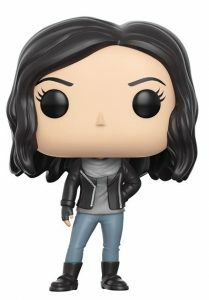 Funko Pop Jessica Jones is numbered as part of the Pop! Marvel line. !! Funko Pop Jessica Jones Krysten Ritter SIGNED Defenders Kristen PSA JSA !! SDCC 2018 FUNKO POP ROCK CANDY JESSICA JONES w SDCC STICKER ! Funko Pop! 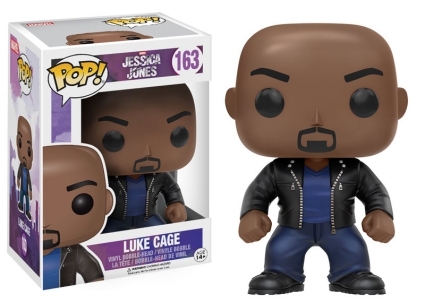 Jessica Jones Luke Cage Vinyl Figure NEW!